Down on the farm, the chickens are as happy as can be on their perch. But when one moves, everything starts to wobble! Get the chickens, wagon wheels and hay bales off the rocking perch without making it topple. The pieces in this counting game have different weights and point values. The player with the highest score wins the game. 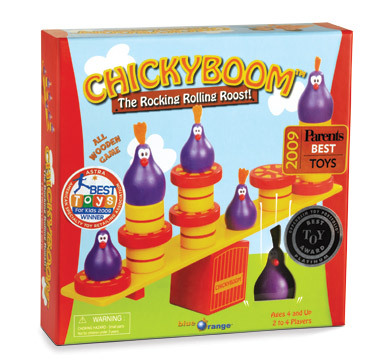 A game of balance, counting and laughs where the roost goes Chickyboom! 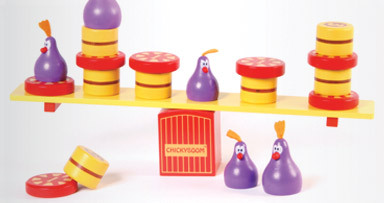 This all wooden balancing game is sustainably made.